Ah well .. better late than never .. but this one I did know .. Julie! I don't know. I think my brain is exhausted by this challenge. Way to go Lee! You finished! Another one I am stumped by! I was thinking Alex from The Children's War- but I think that is wrong. 🙂 Thanks for all the interesting posts! Whoah, that poor guy lost out big time. Super interesting, whoever wrote it for the 2013 challenge. Yay for you finishing! Pop the champagne and throw some confetti! Then go to bed and sleep for a week! Cheers! Congrats on completing the challenge, Lee! I feel like I slept through most of April. Congratulations on the challenge. It was definitely tiring. I hardly even got to reading blogs. Congrats on finishing the challenge. It was a lot of fun this year. The only one I know with a book set in Alaska is Julie Flanders. I loved your theme! I've really enjoyed this challenge. Great way to get to know you and other bloggers. Congrats! I'm glad you talked me into this challenge, Lee, but I'm also glad it is over!! It has been interesting to get to know you through your posts and thank you for reading my herb posts. I don't know many writers because I'm not a writer….just a reader so I didn't know many of your mystery writers. Cheers and high-five to finishing the challenge. I am in awe of your theme and all the work that went into it. Huzzah for the A to Z.
I'd say you're right about the kicking of self, Julie. He and Colonel Saunders might be exchanging notes wherever they are. Congrats on coming through to Z!" Was I close? Superstar writer, Lee, well done on completing the alternative to the Alphabark Challenge, 2014! Despite my deep hatred for the A to Z, of which I'm getting therapy, yours was a least well thought out and not at all predictable. If I see another "A" is for "Apple"…..
Gary, yes the fictional character of Penny the Jack Russell dog and modest internet superstar! I've come to the conclusion that it doesn't really matter whether I know the answer or not. I've still learned something every time I've come here. I look forward to getting to know you better—at our leisure—over the upcoming months. Congratulations on a great A to Z! I think this might be Julie, but I'm not 100% sure, but if I'm thinking Polar nights, then yes, it's gotta be her. It was fun guessing who you featured. We do know more than we think. Just takes a little thinking. I know I've read some Alaska blogs, but I can't remember. So many blogs this month! 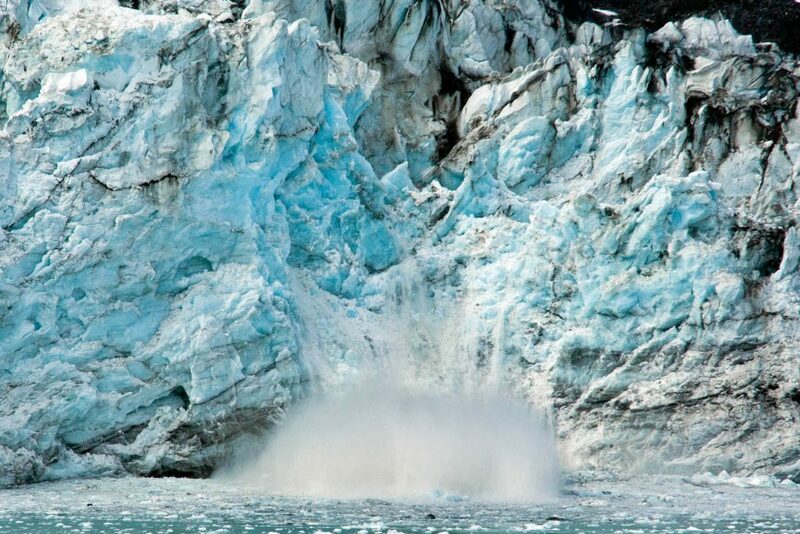 Alaska makes me think of Julie Flanders. Congrats on finishing the challenge, Lee. Wow, I hope he was able to move on and not let that mistake ruin his life. Now, if that isn't one the biggest lessons on perseverance and why we should never give up. I can't think of one better. I bet his ancestors still groan in their sleep. Great finale, Lee!! Have a good rest, but hope to see you back soon. All the best! I've really enjoyed your comments, Sharon. Thanks. Cheers my dear friend & drinking buddy! What a fantastic theme you had for your blog this year. I think I made it all the way back through. Really great posts helping out other bloggers along the way. Thank you for supporting Stormy and I all month long as well. I've learned to appreciate Stormy and his kin. I do love me winter and polar settings! Given Julie's book and it's title, I would vote for julie as well. Once again, I don't have a clue. I don't even know who this particular Miss Julie is! I do want to say a heartfelt thank you, though, for your visits to my blog. There were several times I wanted to just not post anymore alphabetical posts, but consistent comments from several people, like YOU – really gave me the encouragement I so needed. That's sweet, Julie. It does help to know others are out there to lend a hand. That's Julie! Polar Night is an awesome book. I love what she's doing this year for her newest novel too. Thanks for chiming in, Christine. Wait… Was Julie doing two blogs? I'm confused. All of these posts are from 2013. I don't know this one. Just popping by to say you made it. YAY! Thanks, Patricia. I've really enjoyed your blog during this year's challenge. Some excellent writing. So Julie inspired your ghostly theme, heh? Good for her. It was great theme. I read her book Polar Night which is set in Alaska. Brrrrrrrr. Thanks for the entertainment Lee. I had lots of fun here at your place! With your help among others. I was dragging a bit this year. you are one smart lady lee–congrats on the challenge finish! Thanks for the very kind comment, Lynn. Don't know. I thought Julie Flanders lived in Cincinnati, and that her blog theme was Martha's Vineyard, so I don't think it's her. Congratulations on completing the challenge! I've enjoyed trying to guess your mystery bloggers! All these posts are from 2013, Sherry. Thanks for hanging in there with me all month. So glad you know this one! I only know one blogger from Alaska, and that's not his theme. I blew it on the IWSG last month, too Just couldn't handle it AND the Challenge at the same time. However, I do know (since I've helped Alex co-host) that it takes two in a row to get kicked off, so I think you're OK for now. I'm so glad we got to know each other a little better this year.! Congrats on finishing. 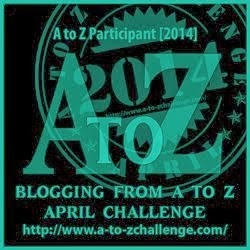 The Survivor badge is at my blog, at the A-Z Challenge Blog, and if you're doing the Reflection, there's an amazing one for that, too! I'll sign up for the reflection post. Just haven't had time. Good to know you better as well, Tina. I'll be at your blog. Totally Julie Flanders, unless there was another, quite possible out 2000! look at how awesome you are – way to work the challenge! and my mind is alphabits too! love that! thanks for so many visits!! You too, Tara. I'm posting my survival medal ASAP! Meet you later, Bish. We can collapse together. I guess I missed that Z post. I would have remembered bacon. Bacon is worth its weight in gold. No idea. The only blogger I think of right off from Alaska is Yolanda Renee. IWSG? You had me going for a minute. Get some rest, Lee–you must be losing track of time. I need rest too, but my schedule stays the same until the school year ends for my wife. I'm just posting until I drop. Guess I've dropped and didn't know it. That hint makes me think of Polar Night by Julie Flanders, so Julie is my guess. You've been here everyday. You deserve a medal. I thought Julie's was Martha's Vineyard. Hmm… I don't do the challenge (I run and hide every April. LOL), so I have no clue. These are posts from 2013, Melissa. Easy one – Julie Flanders! The last day! Another year of AtoZ finished. Can't believe it.